We build our trainings with a good balance between useful theory and practice. Our trainers are professionals, who can share their experience with the attendees. Each training in our offer is organised multiple times per year or can be organised on demand. All trainings below can be organised on premise or at our HQ in Kontich. Check out our training offer below. Upcoming public trainings are listed on our Events page. The target of this course is to learn the standards in agile software development and how testing is organised and executed in agile environments. Language: Dutch or English. Course materials are in English. Groups or on-site? Contact us for more information. Target of this course is to learn the basics of API Testing and how to apply this in practice. Through various exercises using SoapUI or Postman, we focus on putting theory into practice. After this course you’ll know the basics of BDD and will be able to effectively preach and apply it within your own environment. You’ll also be able to write solid and wel structured Gherkin requirements knowing where and how to automate scenarios, leveraging them as Living Documentation. 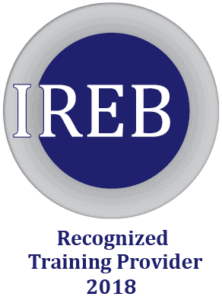 The Certified Professional for Requirements Engineering (CPRE) by IREB® is a certification scheme for everyone involved professionally with Requirements Engineering, Business Analysis and software and systems development. Brightest is official training partner for the IREB Foundation course & examinations. JMeter is an open source performance- and load testing automation tool. It is very widely used in the software quality industry and supports web based applications amongst almost all other commonly used protocols. This course is especially designed for Software Quality professionals who want to rapidly elevate their carreer in Performance Testing. This step-up covers the basics of performance testing using JMeter on practical cases in a fast paced full day hands-on training, leveling to advanced topics like distributed testing and using BlazeMeter to run JMeter tests in the cloud. Target of this course is to learn the basics in test automation on mobile devices. You will get a clear view on the most important tools and learn the difference between working with emulators or cloud devices. The largest part of the course is filled with exercises using Android Espresso. Target of this course is to learn the standards and principles in software testing, the importance of testing and how to apply it in software development. Exploratory testing is an approach to testing that has its place in any software development project. Focused on the just-delivered system, it exposes real-world problems more rapidly and more effectively than approaches that focus on prior expectations. It is a powerful complement to scripted testing, especially when matched with the large-scale confirmatory testing that is often found on agile projects. Yet, misconceptions about exploratory testing still abound. People have put it away as “random” testing, unmanageable and undocumented, while it is in fact a discipline in its own right: a creative and intellectually challenging activity that requires special skills to do it well. Good exploratory testers find better bugs, and give fast, clear feedback to their teams. This workshop makes a case for thoughtful exploration, covering important aspects like modelling and heuristics. It shows how to use tools to increase effectiveness in exploration and how exploratory testing can be made more manageable and systematic. With a number of hands-on exercises, you will be able to try out a range of exploratory techniques for yourselves, so bring a Windows-based laptop if you can. Cost: € 495,- Excl. VAT per person, lunch & drinks included. BYOD. Get in contact to receive more information about our training portfolio.